Australian designed and manufactured using only the highest quality components and materials. 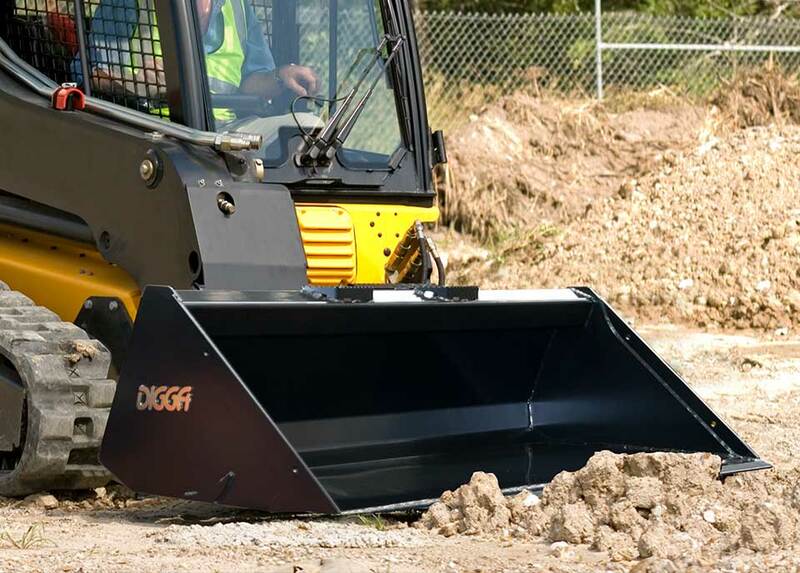 The Digga General Purpose Bucket is ideal for grading, scraping, dozing dirt and material spreading. 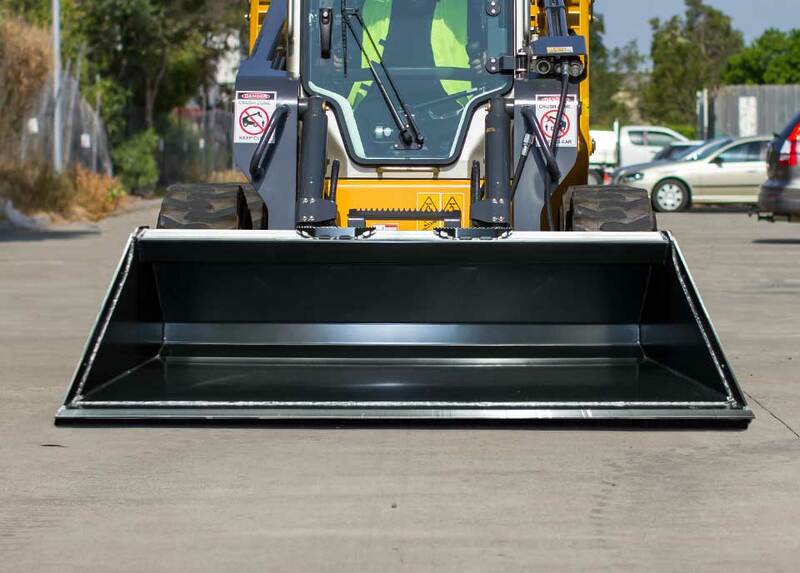 Features include a low profile design, convenient steps for safe easy cab access and heavy duty wear strips. Full range of sizes available from 1450mm to 2200mm. NOTE: DIGGA GP BUCKETS ARE NOT CERTIFIED AS A MEASURING DEVICE. 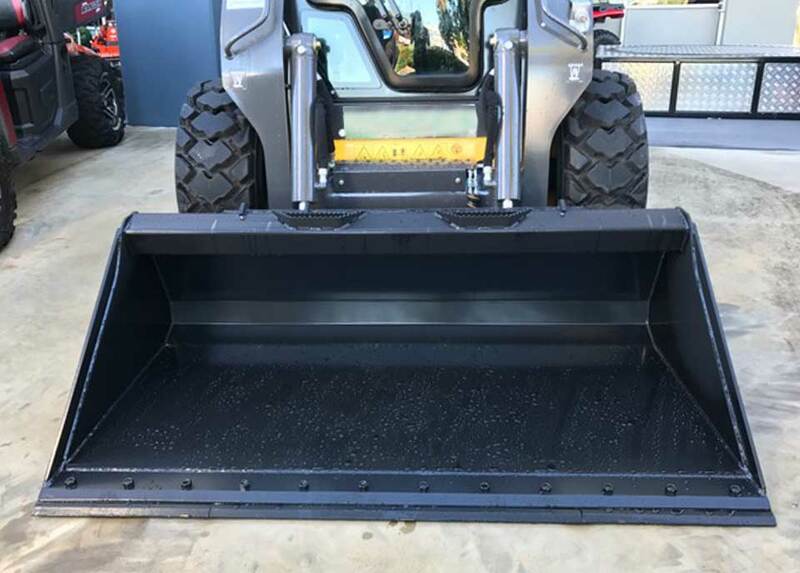 Light weight, low profile design providing high visibility and clear vision of bucket edges as well as convenient steps for safe cab access. 20mm BISALLOY® front wear strip. Hardened steel floor wear strips for increased bucket life. Extend the life of your bucket floor with replaceable cutting edges. Designed with your safety in mind and safe cab access, Digga's GP bucket comes complete with 2 safety steps. 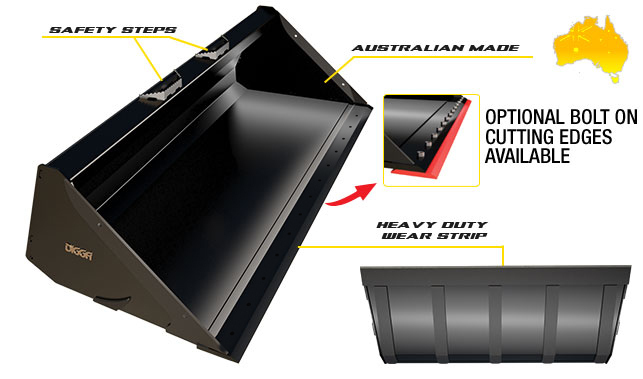 The Digga GP Bucket is made right here in Australia from quality materials. Digga is a proud Australian manufacturer committed to keeping jobs in the country.